Mary Lucy Sennett has been a professional educator for the past 32 years. Mary Lucy Sennett is a high school chemistry teacher in Brandon, Miss., and an adjunct professor at in Jackson, Miss., where she teaches graduate courses on student assessment and teaching strategies. Mary Lucy Sennett has worked with K-12 and with special populations and served as an elementary assistant principal and a high school principal. Mary Lucy Sennett received her doctorate from the University of Mississippi and is a National Board certified teacher. Mary Lucy Sennett has presented at national and international conferences and has been published in various journals and consumer magazines. Sennett received Mississippi’s 2004 Biology Teacher of the Year award. In 2005 and 2009, she was named as a finalist for induction into the National Teachers Hall of Fame. 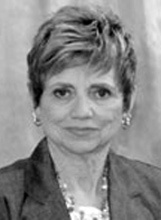 In 2008, Mary Lucy Sennett was named Teacher of the Year by the Flowood Chamber of Commerce. In that same year, she was a national recipient of a Hach Scientific Foundation grant for chemistry teachers. These honors take on additional significance since she was selected in 2005 as the local honorary chair for the American Cancer Society’s Relay for Life. Mary Lucy Sennett is actively involved in promoting health and fitness and is a certified personal trainer.